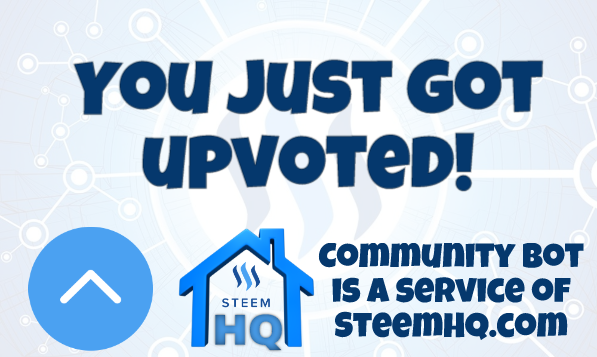 you just received a 11.78% upvote from @steemhq - Community Bot! Wanna join and receive free upvotes yourself? Vote for steemhq.witness on Steemit or directly on SteemConnect and join the Community Witness.